Clayton is our house blacksmith. He makes that cold hard steel look like butter! He can forge out long heavy tapers, beautiful textures or a delicate leaf. 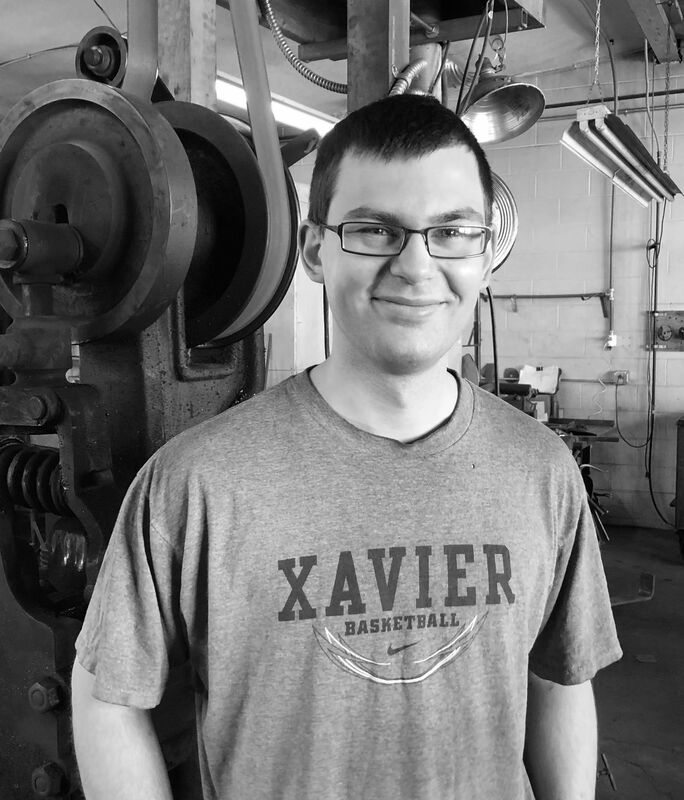 Clayton has great attention to detail and is a true craftsman. 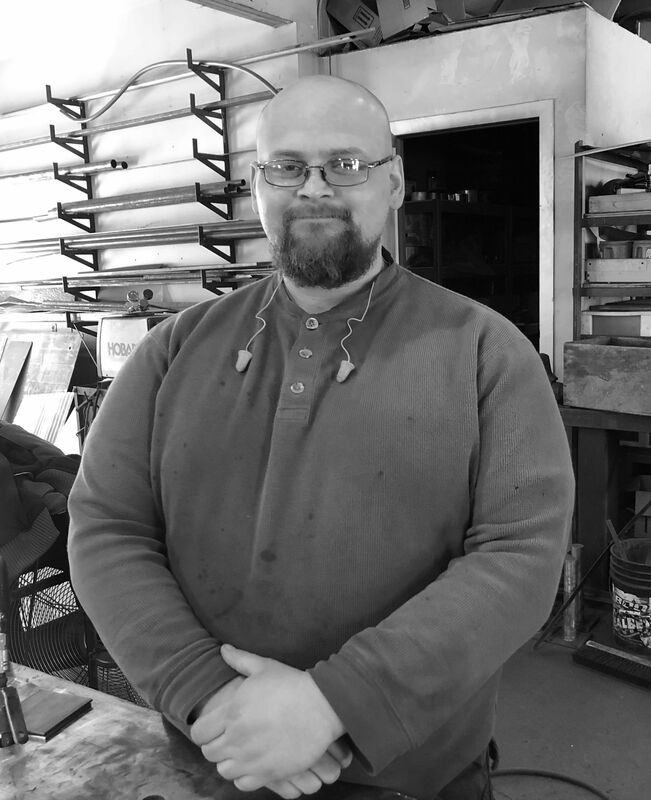 Richard is the shop's finisher and handyman. He makes the team's work look good; from needling off the scale, to grinding down the welds, to putting on a rich beautiful patina. Richard is a handy guy to have around. 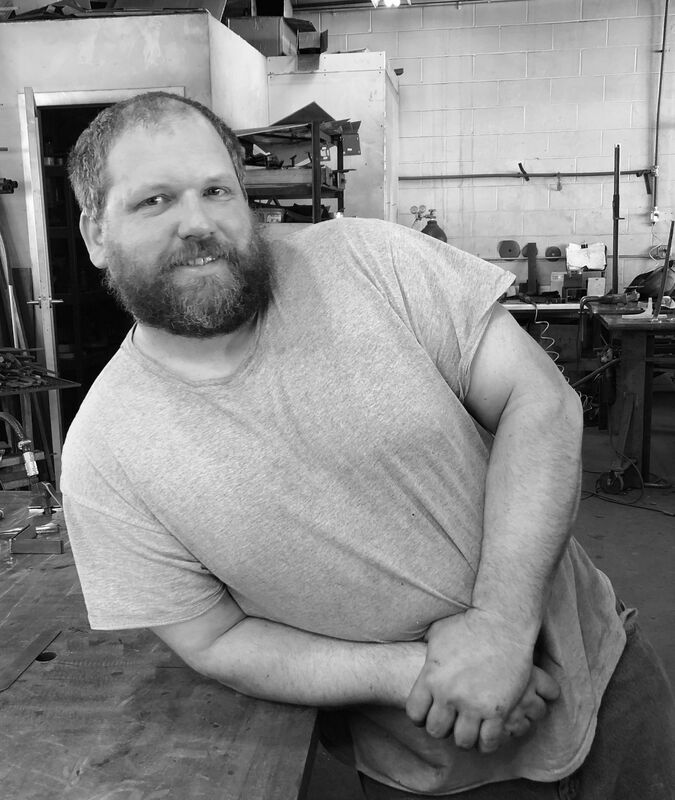 Jacob is our lead fabricator and jokester. He can TIG weld a pop can to a beer can or can stick weld up a beam that could lift a car. You can be sure that any project Jacob is on won't fall apart.